Please join us as we host the third in a series of dynamic and engaging conversations with corporate and civic women leaders about today’s business climate. 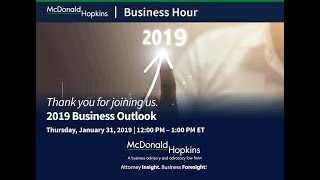 Our speakers will address industry trends, economic outlooks, opportunities for advancement, diversity and inclusion, pathways of leadership, and other topics that shape our work environment. 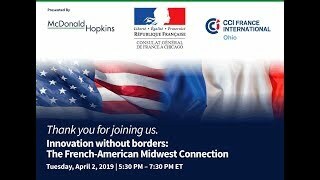 Our conversation features Lee Friedman, Chief Executive Officer at College Now Greater Cleveland, and Helen Williams, Program Director for Education at The Cleveland Foundation. The education and training of a country's workers are major factors in determining just how well the country's economy will do. 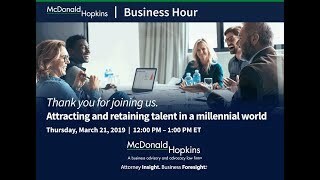 Lee and Helen will provide their perspectives and discuss trends in education that companies must understand to grow and maintain a competitive workforce. Registration and networking begin at 4 p.m. The webcast and live program begin at 4:30 p.m. 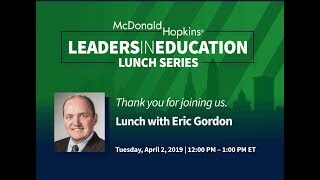 Send your questions about the event or questions you want the speaker to answer to events@mcdonaldhopkins.com.